I once had the chance to peek my head into the kitchen at Alinea, the avant-garde Chicago restaurant that's also one of the top-ranked in the world. It looked nothing like I expected. The standard elements of commercial kitchens, with their industrial griddles, stoves, and salamander broilers, were almost completely absent. Instead, it was just a long room filled with unadorned stainless steel tables. 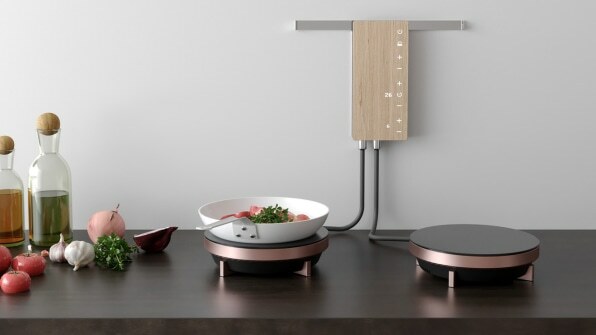 If a chef needed to sauté something, they simply grabbed an induction burner–a magnetic-based hotplate that generates no ambient heat–and brought it to their spot. The flexible, spartan design of Alinea's kitchen has stuck with me since. The French Laundry has since adopted a similar low-tech approach, and I've wondered if there would be any way to bring it into my own home. 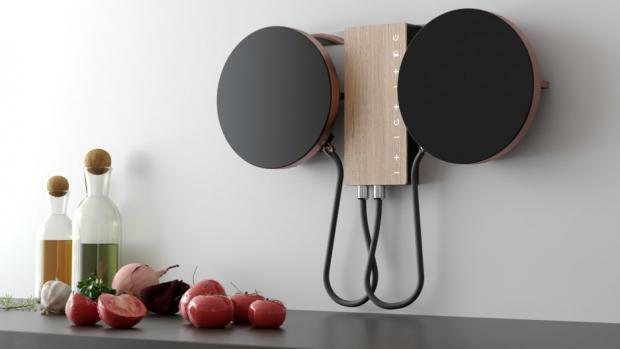 Now, the Turin-based product design studio Adriano Design has developed a concept for the appliance manufacturer Fabita that feels like it could fundamentally help reimagine kitchen design in exactly this way. Dubbed Ordine, it's a pair of induction burners ringed in copper, designed to look beautiful hanging on the wall. When it's time to cook, you grab one, place it on the counter, and begin. It's kind of like one of those magnetic knife blocks, but for a real appliance. The improvisational nature of using Ordine is by design. "It gives the user the possibility of organizing the kitchen top space based on the necessities of any given moment, as well as the dimensions of the pots that one needs to use side-by-side," write studio partners Davide and Gabriele Adriano over email. "[It's] especially for small spaces or for those spaces–an office space, for example–where you'd want a cooking hub, but you wouldn't dare to install one because it won't fit in the context."